Anime Profile: Rio: Rainbow Gate! Rio: Rainbow Gate! Rio: Rainbow Gate! Anime Description: Rio: Rainbow Gate! Rio: Rainbow Gate! Who could have known that this would have gone from a Pachinko to a fully-fledged anime franchise. For those who may not know, a Pachinko is a type of Japanese pinball machine. Think of it as the Japanese equivalent of a Western arcade game. These machines resemble a pinball machine, but they don’t have any flippers and they work with many small balls instead of just one. 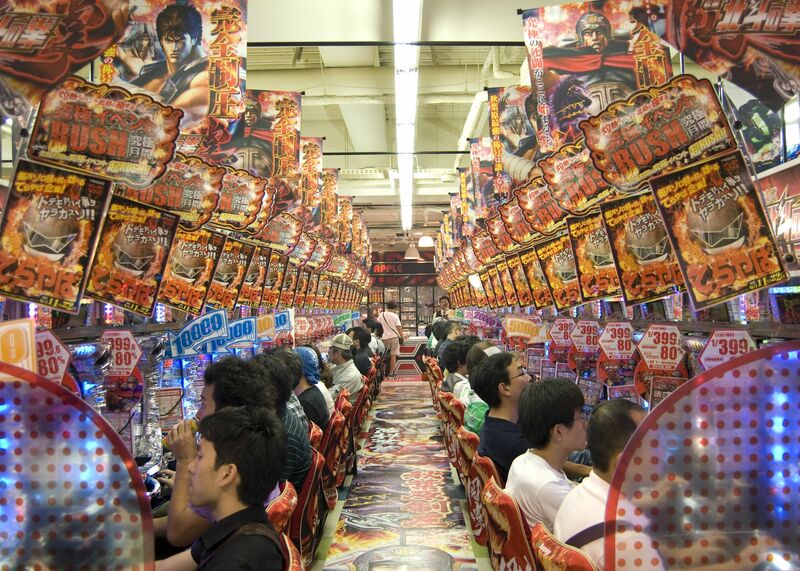 When you play a Pachinko you fire balls into the machine and watch them fall down through the pins into the machine. When the balls land in certain locations, a sequence of events may result in more balls being released. Your objective in the game is to catch as many balls as possible. Although these games used to be strictly mechanical, they are now more similar to video slot machines. Rio: Rainbow Gate has moved from a Pachinko game to a fully fledge series, and we like it. Yes, this franchise is in existence solely based on its game, and its mascot, Rio, was created for the machine - but it’s actually quite an enjoyable anime series. Produced by Xebec and directed by Takao Kato, this series was written by Mayori Sekijima and features the vocal talents of actors such as Marina Inoue (Rio), Ayana Taketatsu (Mint) and Sayaka Ohara (Cartia Goltschmidt). The character design is by Hisashi Shimura, the music is by Atsushi Umebori. The music is a particular high point in the series. The series is set at the Howard Resort Hotel, a location where people from all parts of the world gather to be entertained. They’re there to grab huge fortunes and to make it rich. In this casino there is a beautiful dealer, Rio Rollins. She is also known as the "Goddess of Victory” as she seems to have the ability to grant players luck and help people win. Rio’s mother is one of the greatest dealers in history, and she wants to be closer to her. In order to achieve this goal, Rio battles against the greatest card dealers, known as the “Gates”. We won’t give the game away, but what follows is an epic battle where rival dealers try and take Rio on. 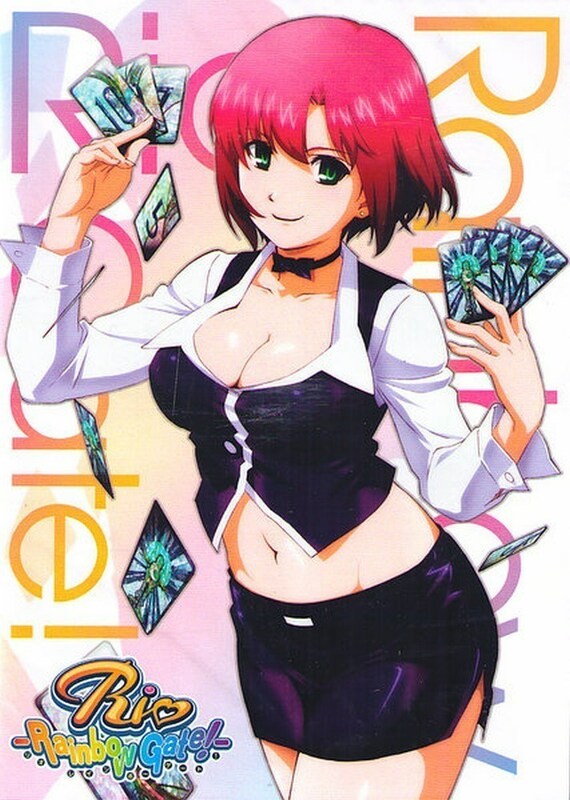 At the start of this series, the casino and card playing element of the story takes on more of a comical theme, almost entirely revolving around Rio being made to wear embarrassing outfits and playing silly games. The very first instance of poker that we see is in the first episode when Mint Clark, Rio’s eventual best friend, comes to the casino with her grandfather. She is wondering the Howard Resort when she is approached by a man who wants to take her teddy, Choco, from her – but Rio fights them off. Rio and Mint become friends and leave to enjoy the casino, where Mint sees how much luck Rio brings her patrons. The man who tried to steal Mint’s teddy, Orlin Dunhill, also sees how talented Rio is and decides to challenge her to a game of closed poker so that he can try to win Mint’s bear - he really wants that bear! This isn’t the last time that poker and card games feature in the series, of course, and as the story progresses it is revealed that Rio is a Gate Holder. A Gate Holder is a dealer who has a legendary card called a Gate. There are 13 Gates in the world, and the person who can collect them all will earn the title of the “Most Valuable Casino Dealer” (MVCD). Rio begins her quest and has to take part in special battles known as “Gate Battles”. These games change throughout the series, so sometimes it might be another game of poker, like in the first battle, or something less skill-based. Some of the characters who Rio comes into contact with have a super power called "Roll Ruler”. This super power allows them to control the game and the mind of their opponent. Handy to have, but frustrating when it’s being used against our protagonist! These games eventually become the driving force of the series, allowing new characters to be introduced and tension to be maintained. Overall, this is a very inoffensive and safe anime series. It’s probably not going to blow your socks off but it’s funny, charming and has a good amount of suspense to keep you interested to see if Rio completes her ultimate goal of becoming the Most Valuable Casino Dealer - we’re not going to tell you if she does, you’ll have to go and watch it. The above description came from Steve, and was edited by yours truly (contact me).